Please find link to the Limerick Parenting Calendar January to June 2019. The Calendar has been collated through submissions from Parenting Limerick partners and other stakeholders. 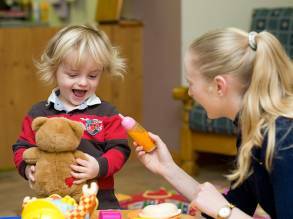 All programmes listed fulfil the function of supporting parents in their role as a parent. This is the first time Parenting Limerick have collated a county-wide Limerick Parenting Calendar. It is anticipated that as the Calendar circulates we will be made aware of additional programmes, events or workshops that that are not included in the listings. Rather than continuously updating the Calendar, contact details of those additional listings will be noted. All feedback will be taken into account when collating the calendar for Autumn/Winter 2019. The Limerick Parenting Calendar will Limerick CYPSC to reflect on current delivery of parenting programmes, supports and workshops across Limerick city and county with a view to collectively planning in a more coordinated and strategic approach over the coming years. Parenting Limerick is an umbrella organisation composed of a network of groups which offer parenting and family support in Limerick city and county. Parenting Limerick is a sub-group of the Limerick Children and Young People’s Services Committee (CYPSC). Limerick CYPSC is part of a national initiative that brings together senior representatives of agencies that have a remit to deliver services to children, young people and their families around one table. Its purpose is to enhance the coordination of services and improve outcomes for children, young people and families.